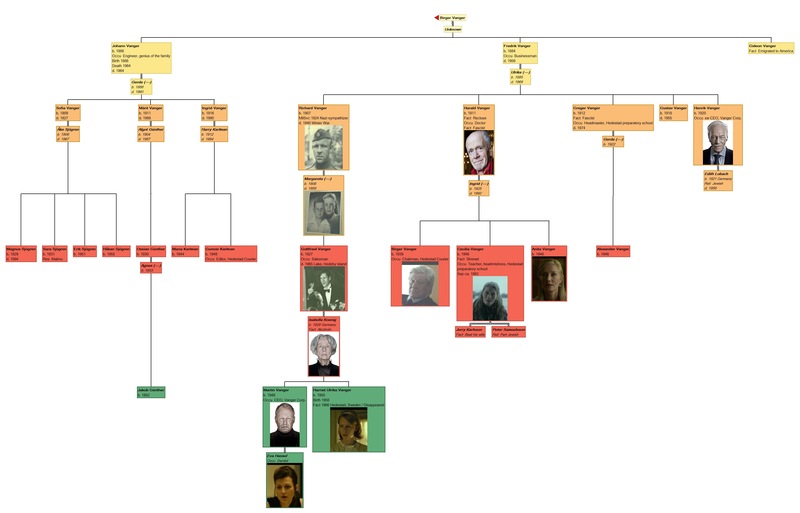 The genealogy of "Girl with the Dragon Tattoo"
The best-seller "Girl with the Dragon Tattoo" features the Vanger family, eccentric scions of a Swedish industrial dynasty. I thought it would be interesting to publish a Descendant chart of the characters in the novel, using photos of the actors in the Oscar-winning 2011 movie. Click to see the Descendant charts produced by our Charting Companion:. Trellis chart of everyone (0.04 MB) See this explanation of Trellis. The relationships are taken from the book, which is slightly different from the movie.